Amazon is getting a lot of press coverage this morning thanks to IDC's latest estimates of global tablet shipments for the first quarter of 2016. 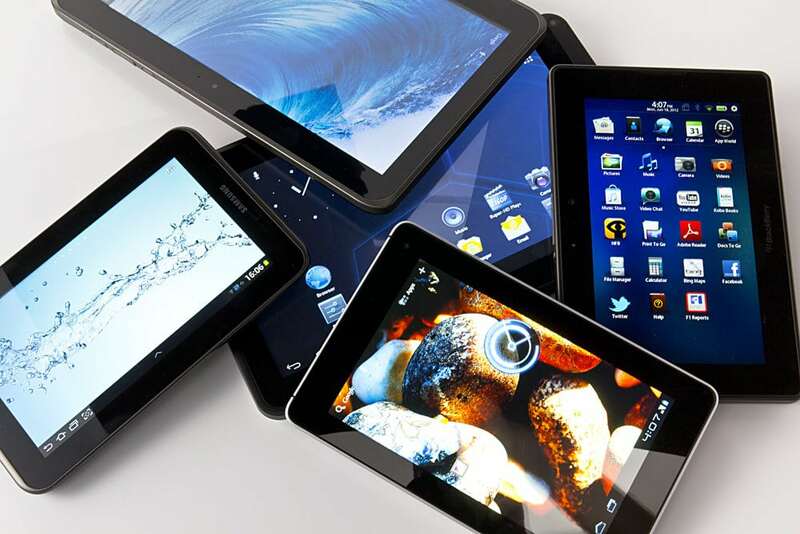 According to IDC's analysts, Amazon saw a stupendous increase in tablet shipments. I, on the other hand, am less than surprised. Tablet shipments declined more than 14 percent worldwide during the first quarter of 2016, according to the latest stats from IDC. The research firm said the decline was due to general seasonality combined with an overall disinterested customer base. All told, roughly 39.6 million units were shipped in Q1, compared to 47.1 million in the same quarter a year ago. As for the vendors, the most dramatic year-over-year change comes from Amazon, which increased tablet shipments by an astronomical 5421.7 percent to claim the No. 3 spot on the list. The tech giant wasn't even included in the top five tablet vendors in the first quarter of 2015. Huawei effectively doubled their sales, which was a surprise (even though its home market of China is huge). But the Amazon news was not at all surprising, for two reasons. Amazon's most-promoted and cheapest tablet last quarter cost half as much as the Amazon's most-popular tablet from the same period last year. That is obviously going to boost sales, but more importantly IDC wasn't counting Amazon's best selling tablet last year - not as a tablet, anyway. I'm sure you know that Amazon's cheapest tablet is now the $49 Fire tablet. It has a 7" screen and is a great value. Well, last year Amazon was pushing the Fire HD6, which cost $99 and had a 6" screen. As I reported last February (and IDC reiterated in their recent announcement) IDC didn't consider 6" Android tablets to be tablets, and so the Fire HD6 wasn't counted in last year's estimates. As a result we don't really know how many tablets Amazon sold last year, so that 54x increase in Fire tablet sales is bogus. But I wouldn't draw the same conclusion about the dip in sales, however. That is a sign that the market is contracting, a trend we've seen for a few years now. It's a strong indicator that my prediction last week will prove true: Amazon won't be replacing all of its Fire tablets this year. The $50 tablet has a crappy screen and camera compared to my iPad mini but its perfect for my daughter and I’m less worried about her dropping it in the sink, like she did with my iPhone. For a $50 tablet, it has an awesome screen. There were $100 tablets on the market at the time with worse screens. You don’t have to go far back too many years to find worse screens on $400 tablets. I always wonder what these people who keep complaining about the Fire’s screen are talking about. It’s 171 ppi and has good viewing angles compared to most. That’s actually higher pixel density than the earlier iPads that people gassed on about. It’s lower quality than the ‘Retina’ screens, sure, but then it’s about a tenth of the price. If you’re a parent its good enough but its no where near as good as even a 1st generation iPad, but that’s ok (its also harder to see what your kids are up to on it compared to an iPad or iPhone too. The initial point I think is being overlooked by my comments is that it is good enough for parents who need or want to give their kid a tablet without it breaking the bank or worrying about damage. In addition, the parental controls are very very useful on it, you can limit the time they watch videos and play games. Those two factors make it a huge win for Amazon and will keep parents Amazon Prime users for the foreseeable future. In what way is it harder to see what they’re up to? Does iOS have some sort of spyware program that parents can install to watch what their children are doing? iPad screens have a much wider viewing angle than most tablets. This means an iPad can be turned as much as 80% away from you and you should still be able to see the screen’s contents.